So you’ve got a lot to say? An area of expertise in which you want to become (in)famous? Or do you just want a place where you can rant freely? Blogging is the best way to connect to the masses and get yourself heard. Many people have found their own personal success through starting blogs: just think Perez Hilton, Mashable and the Huffington Post. 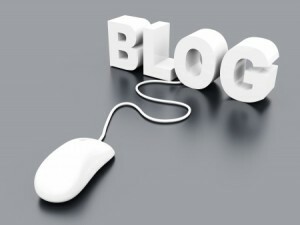 These are all extremely successful blogs that have brought massive success to their initiators. So where do you start? Most people can find starting a blog pretty intimidating so we’ve put together a few tips on getting started. For a lot of people this is a no-brainer: either you use one of the many free programs available or you get your very own original design. And unless you’re a capable web designer, you’ll probably need to pay for a quality site to be created from scratch. Therefore most people go for the software option. Nowadays, these are quite impressive and with a bit of time and dedication, you can create something that looks quite unique, despite being modelled on the same template as many others. There are plenty of tutorials available online across the web that will show you how to get started with the most famous free blogging programs. Probably the most important decision is deciding what you’re actually going to blog about. It’s crucial to be specific and ideally, you should nestle yourself into a niche if possible. The wider topics have been done to death (although that’s not to say you can’t improve upon them) so try distilling your topic down to something specific. Try searching other blogs in your topic – if your niche is flooded, try again. If you find a blog that steps on the toes of your ideas but it’s been poorly written, go ahead and start your blog anyway – you’ll probably end up pinching their readers! If your niche is an abandoned town with tumbleweed blowing quietly through, hooray! Get writing. The most important thing about your domain is that it be easy to remember, so avoid complicated words or overly long domains. You can go for something clever and memorable – a clever play on words for example. But have you thought about how people are going to find your site through keyword searches? It’s usually best to keep keywords in mind and try to shape your domain name around the most popular ones. It’s tempting to go in with all guns blazing once you’ve designed your beautiful site but have you thought carefully about populating it? It’s a wise idea to have a few blog posts ready to go so that you can keep a steady supply of content flooding into your site from day one. If you start attracting lots of traffic, you can step up the pace but a slow-burner won’t be as attractive to new readers as a fast-paced, regularly updated blog. « Google+ is Open to All!